Traveling to the United States of America as a foreigner requires that you possess an international passport and a visa. The visa is usually stamped on a blank page in the international passport issued by your country. Certain international travelers may be granted entry into the United States without any visa if they meet certain requirements. But for the most part, you’ll need a visa to be granted entry into the US. Now, a visa does not guarantee your entry into the United States. It simply allows you to travel from your country to an entry port (Airport or land border) and seek permission from either the inspector at the Department of Homeland Security (DHS) or the Customs and Border Protection (CBP) to grant you entry into the country. This post shows you a step by step guide on how to apply for a US visa, check your visa status as well as requirements for a US visa. The cost of getting a US Visa ranges from $160 to $190, depending on the type of visa. An immigrant visa is meant for persons who will like to have a permanent residence in the United States while a nonimmigrant visa is a visitor’s visa. Nonimmigrant Visa will allow you to stay in the United States for a temporary period of time ranging from a few days to years. Both visa types are also subdivided into various visa categories to cater to all foreigner needs in the United States. For instance, the F and M are a subgroup of nonimmigrant visa for students while the P subgroup is for athletes. There are also others for religious workers, agricultural workers, tourists, and so on. In order to successfully apply for a U.S visa, you’ll need to determine your purpose of traveling and choose a visa type accordingly. This is very important. Fortunately, the process is quite easy as the US embassy has provided a comprehensive list of all visa types and their purposes. You’ll need to pay the visa fee once you determine the right type of visa for your travel. But you might want to tick off a few visa requirements before proceeding to the bank to pay the fee. A valid Nigerian international passport with at least two blank pages and expiration date at least six months beyond your return date. 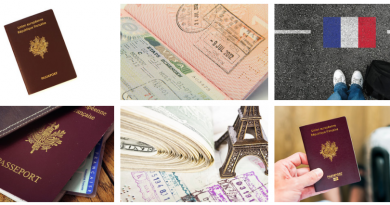 Although having all of these will not guarantee you of a 100% visa approval, missing a few items can certainly guarantee outright denial. So, it might be prudent to get as many as you can. 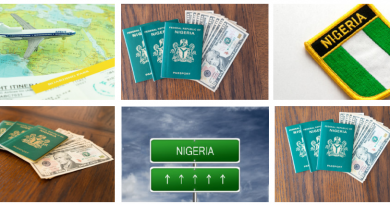 For instance, if you are seeking a nonimmigrant visa, having proof of assets and investment in Nigeria will increase your chances of getting your visa approved as it shows that you’re not just fleeing the country. Also, providing a letter of invitation or scholarship — while not compulsory — can increase your chances of getting your visa approved. 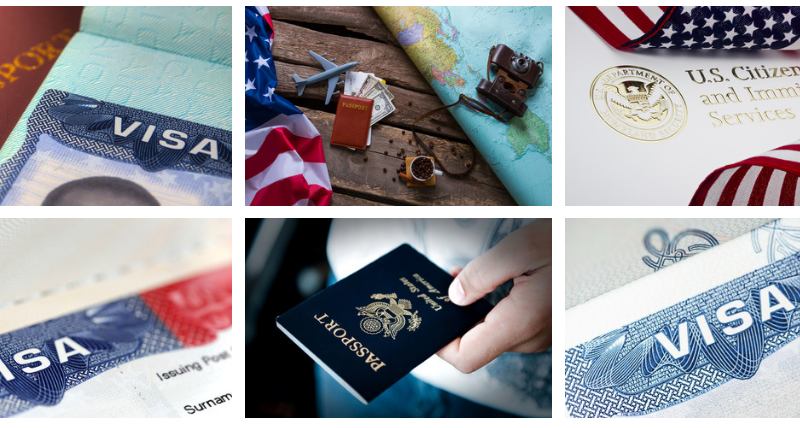 To apply for a US visa, you’ll need to first determine the type of visa you want. This involves choosing a visa type whose description matches your travel intent. This can easily be done from the United States’ travel doc website where all visa types are listed with clear descriptions of what each provides as well as the fee for each type. You’ll need to pay the visa fee once you have determined the appropriate visa type for your travel. The visa fee is a non-refundable and non-transferable fee paid for visa applications. 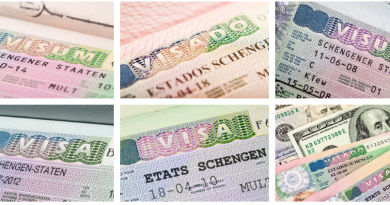 The fee does not, in any way, guarantee that a visa will be granted to you. Visit any GT Bank and request for a U.S visa collection slip. Fill in the slip with your phone number, your full name and amount and make your payment. As with all bank cash transactions, you will be issued a receipt. You’ll need to complete a form (the DS-160 form) online after making the payment. The next step is scheduling an appointment at the US embassy in Abuja or US consulate office in Lagos. Create a profile on the official US visa application website to schedule your appointment. Optionally, you can also schedule an appointment over the phone on (234) 1-440-6218. Your visa fee payment receipt and the 10-digit barcode number from your DS-160 confirmation page are required for the appointment scheduling. You’ll wait for the appointment date once it is scheduled before visiting the US embassy in Abuja or the US consulate office in Lagos for your interview. Go along with all the necessary documents listed in the visa requirements section as well as your visa application fee receipt and barcoded DS-160 confirmation page. Once you’re through with the interview, you’ll need to wait for your visa approval (or denial). You can also check the progress, using the visa status tool provided by the consulate officer. Visa status is a tool provided by the consulate officer to help applicants check the progress of their visa. You can check when your visa application is ready for an interview, if it has been issued, denied, expired, undergoing a transfer or administrative processing. Checking your visa status is very important as it helps you to take the necessary steps to move your application from one stage to the other. You need a unique 13-digit barcode number usually starting with EAC, WAC, LIN or SRC. This barcode number is your unique case number, usually present on the form I-797 that will be issued to you after completing the DS-160 form. Optionally, you can check your American visa status by calling (603) 334-0700 on your phone. This is exactly what I’ve been searching for. Thanks Lewis. How can I pay my US visa fee through bank transfer ? Bank transfer is not acceptable for the US visa application. Get a US visa collection slip from GT bank. The payment is a simple process.